Some investors are fascinated with dividend paying stocks. They invest in them exclusively. Often times, they are looking to generate income. Some investors also believe that dividend paying stocks are safer to invest in. There are investment services and portfolio managers who specialize in dividend stocks. 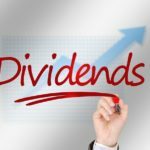 Is this obsession with dividends justified? Some investors believe with their very souls a dividend is a sign a firm is healthy. 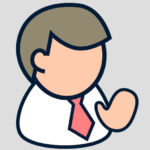 …But there’s nothing inherently better about a firm that pays a dividend—it’s just a different way of generating shareholder value. Some firms choose to generate shareholder value by reinvesting profits… Other firms may decide reinvestment won’t yield much additional growth. So they may generate shareholder value by paying dividends. There is only a small subset of public corporations that return all their profits in form of dividends. Often, they are legally obligated to do so due to their tax structure. This is the case with real estate investment trusts (REIT) or limited partnerships (LP). REITs and LPs are in real estate, oil/gas commodities, or private equity businesses where cash flows are stable or they don’t have significant reinvestment needs. But a vast majority of public corporations in the US are not set up to do that. Neither can they afford to. You see – most businesses need to keep at least a portion of their profits to reinvest. That’s not a bad thing either. As long as they can reinvest at a high rate of return, we should be fine letting them keep our money. Then there are companies that must retain all their profits for reinvestment and growth. They are mostly high growth upstarts who have not grown to a scale where they could generate excess profits. Whatever they make, they plow back into establishing their businesses. Again, there is nothing wrong in what they are doing – ultimately if they are successful, they will have grown big enough and will have fewer reinvestment opportunities. This is when they’ll start returning profits to shareholders. When I first bought Cisco & Starbucks, they weren’t paying dividends. Starbucks went public in 1992 and only started a dividend in 2010. It took Cisco even longer – went IPO in 1990 but didn’t start dividend until 2011. Microsoft is another company like that. When these three companies were starting out, they weren’t paying out dividends. I was fine letting them retain earnings as long as they took good care of it. I wrote about how my Starbucks investment became a perpetual bond here. There are also other ways to return profits to shareholders – in a more tax efficient manner than dividends. Share buybacks, for instance. All business profits are taxed at the corporate level. And when that business pays its shareholders in dividends, those dividends are taxed again at the individual shareholder level. On the other hand, when a company buys back its own shares, it is a form of returning cash to its shareholders – albeit in this case, the payout is indirect and therefore not taxable to the shareholders. How buybacks help the shareholders? By reducing its share count, the company is making each remaining share more valuable. We the shareholders now own a bigger fraction of company’s earnings, its free cash flow, and even its dividend pool. This only works though if the company’s management is trustworthy – they buy back shares at a reasonable price, they keep generating profits in future years, and they keep paying out future profits with more buybacks and/or dividends. Therein lies the rub – do you trust company management will take care of its shareholders’ money? If not, perhaps an immediate payoff in form of dividends is the right move after all. If you don’t trust management to take care of shareholder interests, perhaps it is not wise to invest in that business in the first place. Most of us investors are net savers – we don’t need income to consume. Rather, we need our investments to compound at a high rate – to grow quickly. As I wrote in this previous post, reinvesting is the key element to successful compounding. We could choose to receive dividends and then reinvest. But we’d still be paying taxes on those dividends – our reinvesting won’t be tax-deferred. Alternatively, we could invest in companies that reinvest all their profits back into the business to grow at a faster clip. I own two such businesses – they don’t pay out any dividend – neither do they buyback any shares – but they have expanding businesses where they could invest all their profits with good returns. And I trust their management with my money. Those two businesses are Berkshire Hathaway and Amazon. I wrote about them in previous posts here and here. OK but what about investors who do need current income – should they just stick with high dividend paying companies? Not necessarily. The focus should still be on durable businesses that are run by shareholder friendly managers – regardless of their dividend policies. Consider the case of Berkshire – some of its longtime shareholders are retired – and likely need income for consumption, charity, estate planning, etc. Yet Berkshire does not pay a dividend. Last time a vote was taken on this (in 2014), a vast majority of shareholders said no to dividends. By a margin of 47 to 1. How could Berkshire shareholders generate income then? Warren Buffett suggested a different route to generate income for Berkshire shareholders. He explained it in detail in his 2012 annual shareholder letter. [See the section titled “Dividends” here.] His “selloff” approach is an alternative to dividends. Rather than the company pay a fixed dividend that its shareholders may or may not want – but still end up paying taxes on it – his approach is to just sell a certain percentage of shares every year. One can precisely control how much to sell – depending on his income needs. The rest of the money keeps compounding tax free. Unlike dividends, you save some tax on your sales too – because part of the sale is likely your cost basis – not all of it is capital gains. 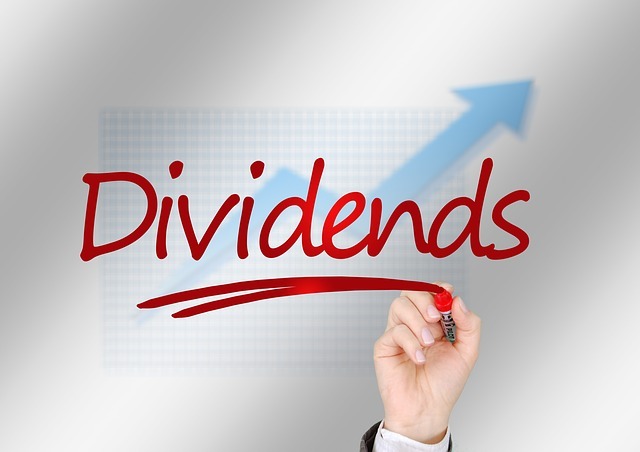 One big reason why some investors are obsessed with dividends is because they don’t believe the rest of a company’s earnings really belong to them. Dividends are tangible quarterly payments. We see the money in our bank accounts. Share buybacks, though, are indirect – there really is no immediate benefit one could see. Its effect shows up in reduced share count which in turn would increase earnings per share and potentially dividend per share (if dividends are paid). But this is fundamental to long-term share ownership. We must believe that a company’s net earnings per share in its entirety belong to us the shareholders – not just what is being paid to us as dividends. I invest in all types of businesses – some pay dividend, others don’t. Some reinvest all their earnings (like Amazon and Berkshire). Others return all their profits in form of dividends (like Simon Property and Blackstone). And there are some who return a vast majority of their profits in a mix of share buybacks and dividends (like Apple). You can see my entire portfolio here. My advice to investors is don’t box yourself in a corner by focusing on high-dividend yielding stocks. If you are investing in index funds (or ETFs), buy broad market-based funds – and not some specialty high-dividend fund. And then follow Ken Fisher’s approach to sell a small percentage every year to generate income. If you pay an investment manager to run your portfolio, have her follow the same approach – avoid getting stuck with dividend income only. And finally, if you are like me investing in individual securities directly, don’t exclude stocks that don’t pay dividends (or very little of it). Value each business on the basis of total profits, not just its dividend.